Are You Ready for Nordic Family Drama? January seems so right for some Nordic family drama doesn’t it? With all the dieting, non-drinking and bleakness of the weather (at least here in London it’s decidedly Dickensian) we all want something that reflects the somber mood, right? So if you crave something different after all the festive reads, look no further. Coffee and Vodka, my Nordic family drama tells the story a displaced and dysfunctional family in Finland and Sweden and will be free to download for a limited time 5 to 9 January 2018. When Pappa announces the family is to leave Finland for a new life in Sweden, 11-year-old Eeva is elated. But in Stockholm Mamma finds feminism, Eeva’s sister, Anja, pretends to be Swedish, and Pappa struggles to adapt. And one night, Eeva’s world falls apart. Fast forward 30 years. Now teaching Swedish to foreigners, Eeva travels back to Finland when her beloved grandmother becomes ill. On the overnight ferry, a chance meeting with her married ex-lover, Yri, prompts family secrets to unravel and buried memories to come flooding back. This Scandinavian story has it all: family drama, mystery, romance and sisterly love. The FREE offer runs from 5 to 9.1.18 on Amazon only. 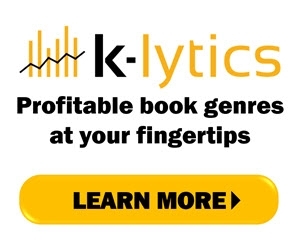 This offer is regulated by Amazon and WILL end at midnight on the 9th when the price will revert to $2.99. 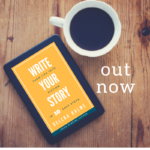 My first non-fiction book which came out before Christmas: Write Your Story: Turn Your Life Into Fiction in 10 Easy Steps was on a launch offer until 4.1, but will now be just $1.99 until 9 January after which it will revert to its usual $3.99. 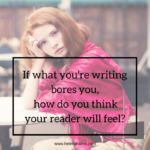 In Write Your Story I show you how to change plot points, characters, dialogue, and timelines to avoid upsetting your nearest and dearest (if you don’t want to, that is!). 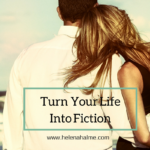 I also devote a whole chapter to dealing with the issue of seeking permission from the significant people in your story. The True Heart, fourth Book in the Nordic Heart Romance Series was on a New Year’s Offer, but this offer will now also be extended until 9 January, when the book will revert back to its normal price of $4.99. 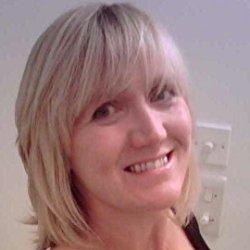 When Kaisa suffers a third miscarriage, her submarine officer husband Peter is devastated. Kaisa, who has chosen a job with the BBC over the traditional life of a Navy wife on a marriage patch in Scotland, feels guilty. Has living apart from her husband to pursue a demanding career, contributed to her inability to keep hold of a baby?But childlessness pales into insignificance when her old friend Rose tells Kaisa about a former lover’s serious illness. The consequences of Duncan’s condition could wreck Kaisa and Peter’s future. And then life takes another heart-breaking twist … Can love conquer all? 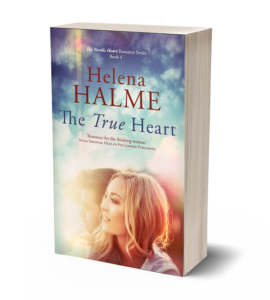 The True Heart, the fourth, standalone, book in Helena Halme’s acclaimed The Nordic Heart romance series explores what true love is. Finally, don’t forget all the books are also now available in paperback! You can get them on Amazon, just go to my profile page (and you can like it too!) by clicking here or by tapping the image below. I hope you are having a great start to 2018 and find lots of good books to enjoy this year! 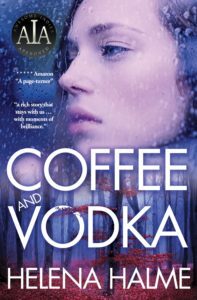 Download your free copy of Coffee and Vodka here. 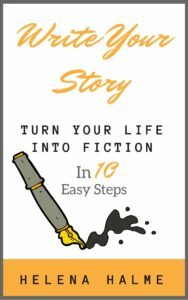 Get Write Your Story: Turn Your Life into Fiction in 10 Easy Steps for just $1.99 here. Buy The True Heart for just $0.99 here. 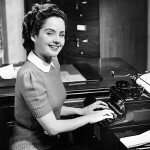 Advice for New Writers Part 1: I have a great idea for a book – what should I do next?